He is back in shape, back in his sport, back to his life. He is not going back in time. No, he is very proud of his present. 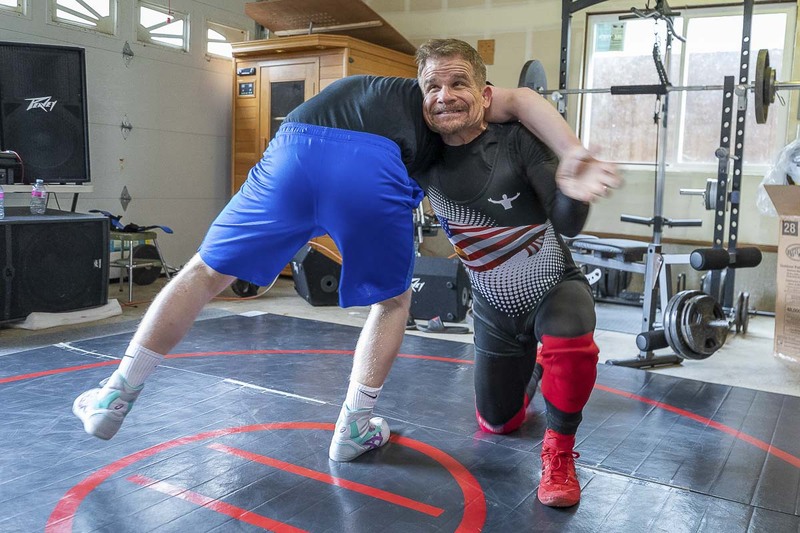 He will be going back to living a dream, though, competing in wrestling at the age of 55. A year ago, all of this would have seemed impossible. Johnson, a teacher in the Battle Ground School District who lives in La Center, has lost 70 pounds since a life-changing moment last spring. Karl and his wife Julianne have five grown children plus five children who range in ages between 7 and 13 years old. There is a lot of love in the Johnson family, but also a lot of chaos. It has taken Karl and Julianne a lifetime together of coming up with the perfect tag-team approach to parenting. Last May, Julianne got sick and was hospitalized for an extended period of time. That left Karl, concerned for Julianne of course, but also without 50 percent of the parenting team. Work. Hospital. Home. He was trying to do it all, trying to do too much. He was keeping everything to himself. Until he nearly collapsed under his own mental health weight. “You need to do something. You need to talk to someone,” Johnson recalled thinking to himself. He found out he was not alone. “There are a lot of people dealing with holding it all inside,” he said. Johnson got help, and then he set up a plan of action to keep helping himself. With so much more to do at home during that time of Julianne’s health scare, it became apparent to Karl that his physical fitness was a problem, too. At 5-feet, 7-inches, he was 227 pounds. He went to the track at La Center High School, where he has been an assistant coach in football and wrestling. He returned the next day and completed two laps. Soon, he was at four laps. By the middle of the summer, he could run a 5K. The pounds were coming off, and he was feeling better about himself. “We were just eating right and running,” Johnson said. Then his oldest son, Stephen, had an idea. That is when “Krazy Karl” came up with the goal. Johnson could recall when he was one of the best in his region when he wrestled in high school in California. He wrestled in college, too. Also in the Army. Yes, it had been years, but Karl Johnson said he owed it to his family, to his friends, and to himself to give it a go. If all goes to schedule, Julianne — healthy again — and four of their older children will be in Las Vegas to watch Karl wrestle in the veterans classification of the U.S. Open on April 24. Stephen Johnson, who has muscular dystrophy, was unable to wrestle. But he did get to watch his brothers compete and he saw his dad coach. This will be something extra special, he said. 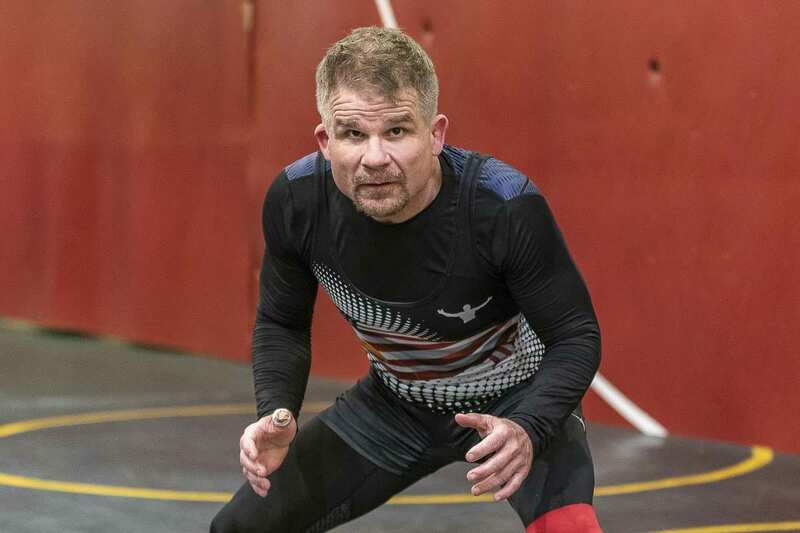 Karl still runs, a lot, but he also had to get back into a wrestling room. 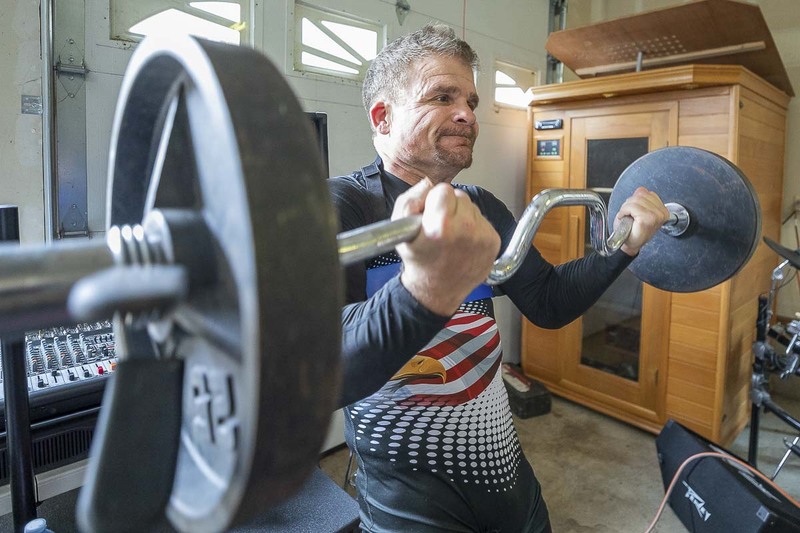 He bought some equipment for a home gym, and he spends multiple days a week at Merle Crockett’s Southwest Washington Wrestling Club in North Clark County. Karl has been training with high school state champions. He has been getting tips from some of the best coaches in the area. And his sons are coaching him, too. “I don’t think anybody is working as hard as I am,” he said. Now, he is just a couple weeks away from the tournament. He wants to become an ambassador for wrestling. “It saved me,” he said. So, too, did all those who believed in him. Not just family and friends. Karl Johnson will have to take some time off from work for the tournament. He said the support from the Battle Ground School District has been 100 percent. Often times, Karl runs during his lunch break at Laurin Middle School. His students have been known to run with him. “It’s almost a Rocky thing. It’s insane,” Karl said. He has not wrestled competitively in years. He understands the talent he will be facing in Las Vegas. “There are some bad hombres,” he said with a smile. Yes, what if he won the whole tournament? That would quite the underdog story. The thing is, Karl Johnson has already won. He is a stronger person today than he was a year ago, in every way possible. Now, he wants to keep on being a champion for his family, his students, and his sport — long after the tournament. Then run toward that goal with a focus.